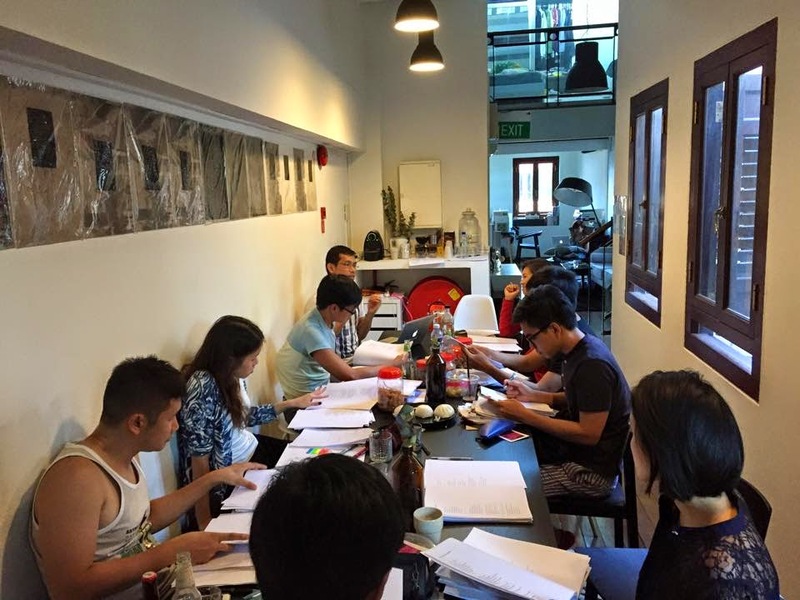 I was one of three poets (with Ng Yi-Sheng and Grace Chia) roped in to offer comments on the first manuscripts of 6 new Singapore poets.The session was part of a manuscript bootcamp organized by the indefatigable Joshua Ip. It was a pleasure to engage with the work of Amanda Chong, Daryl Lim, David Wong, Jennifer Anne Champion, Samuel Lee, and Tse Hao Guang, and to have an open and collegial discussion about poetry. The poets will receive much feedback from different people over the weekend, some of it conflicting, some of it confusing, but at the end of the day, we must be our own toughest critics, if we are going to write the kind of poetry that will stand the test of time. Thanks, Josh, for organizing this working group. Thanks too to Sarah for opening your home to us.